In 1956, the special constructor group of the British Motor Corporation, headed by Alec Issigonis, got the task to produce a compact car. The fuel consumption of which would constitute the most minimum values and at the same time, the possibility to place 4 adults and necessary luggage in the passenger compartment would retain. An original solution was found. The new model had the front wheel drive and the engine located across the bodywork – this circuit afterward became accepted on all front wheel drive cars. The creators jammed the transmission into the crankcase, and they set the radiator not in front of an engine, but aside from it. In that position, the radiator was blown by a flux of air having passed more narrowly by the engine and heated, but the length of the car remained in set limits. Thus, the popular make Mini of light, compact cars appeared. Officially, the year 1958 is considered its birth date, because 2 years were spent for tests and technical refinement. The Mini logo means a compact, economical, inexpensive small car intended for a mass buyer. The first Mini cars were assembled in two enterprises. Cars under the name Morris Mini Minor were produced at the plant in Cowley (the Oxford), and the plant in Longbridge (Birmingham) produced the similar model under the name Austin Seven. The year 1961 was marked by the appearance of the most powerful and fast Mini developed in cooperation with the known constructor John Cooper. This modification received the name Mini Cooper and was characterized by two-tone color, which afterward became the hallmark of the Mini brand. At the beginning of the 90s, British Leyland, to which the make of Mini had been included already long ago, was renamed in Rover Group. In 1994, the state concern Rover Group was sold to the BMW Company with all related rights to the production of the make Mini cars. The Mini car managed to become really iconic, representatives of all classes of the contemporary society like it. Even the members of the British royal family felt love to these small cars along with the main consumers – representatives of creative Bohemianism. The thick list of celebrities, owners of the Mini, occupies not one page, Mr. Bean and Madonna are among them. The Mini symbol contains a circle in the middle, which rejoices the company’s name in uppercase letters. The wings symbolize the speed, agility, power, and freedom. Also, the Mini symbol denotes economy, a reasonable price, normal capacity. The compact car intended for a mass consumer is provided with such features. There are two colors of the Mini logo. 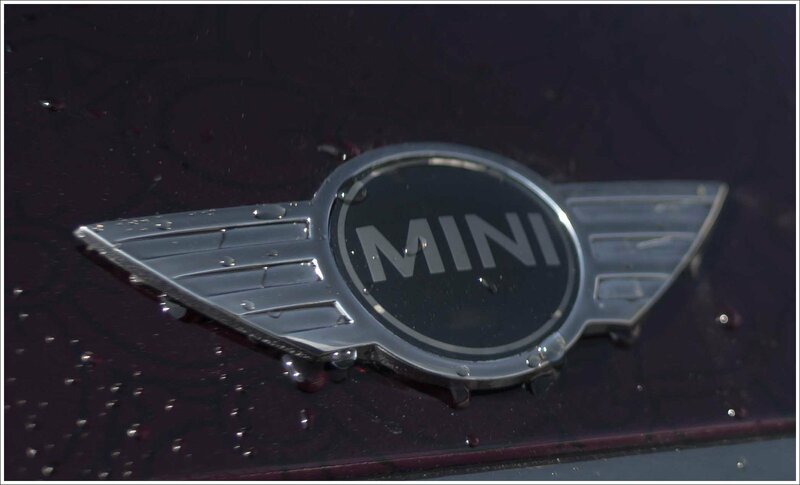 The black color in the Mini logo signifies excellence, strength, innovation, elegance and dynamic attitude of the brand; the silver color stands for its sophistication and grandeur. 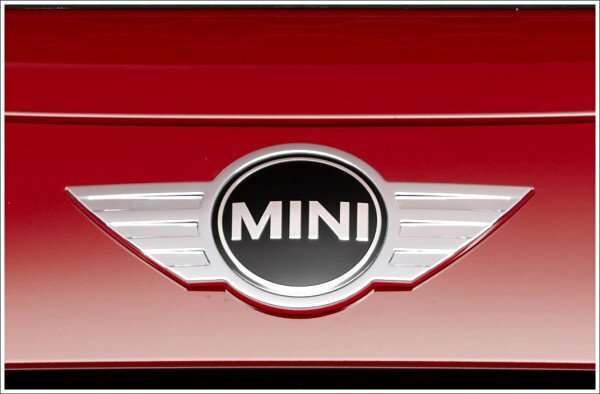 Legendary design of the Mini emblem makes it one of the most popular and recognizable ones throughout the world. The new version of the retro car Mini Countryman was created in 2011. Yes, the Mini brand forges ahead. For example, the spectrum of modifications of the new generation of Mini Clubman is gradually expanding. At the beginning of 2016, an all-wheel-drive version of All4 was introduced, and now Mini One D Clubman appears in the line. It will be offered only in Great Britain and is intended for corporate fleet – motor pools, but the fact that later it will come out even to other markets is not excluded. The station wagon Mini One D Clubman is fit with the one and a half liter and a three-cylinder diesel engine of 114 hp of indicated efficiency. It accelerates from zero to 100 km/h for over 10,4 seconds; its maximum speed is up to 192 km/h.